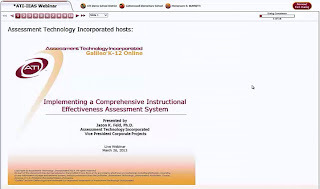 If you missed ATI’s March 26 webinar, Implementing a Comprehensive Instructional Effectiveness Assessment System - don’t worry. The webinar was recorded and the recording is available at the following link. Click here to access other webinar presentation summary documents. Linking educator effectiveness to student learning has changed the nature of educator evaluation in significant ways. The fundamental premise underlying this linkage is that good teaching and effective educational management carried out in a supportive learning environment ought to produce enhanced learning. For the past few years, ATI has been working closely with Local Education Agencies to meet the challenges of including student learning in the evaluation of educator effectiveness. 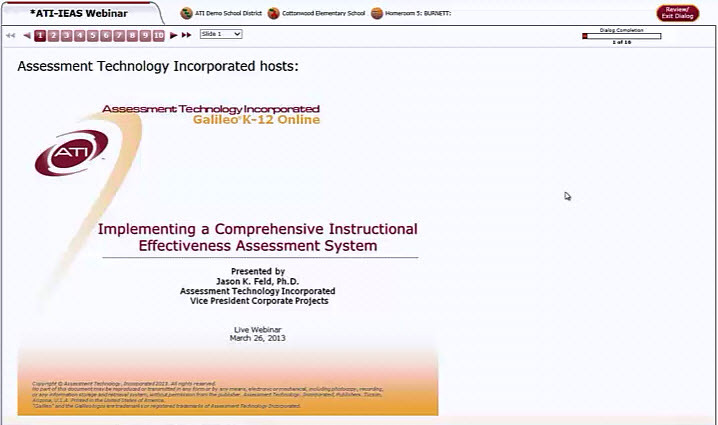 As a result of this work, ATI has developed a Comprehensive Instructional Effectiveness Assessment System. Watch for summer training opportunities that focus on educator effectiveness. Click here to access all current events, seminars, and webinars. Contact your ATI Field Services Coordinator by email or at 877.442.5453 for more information.